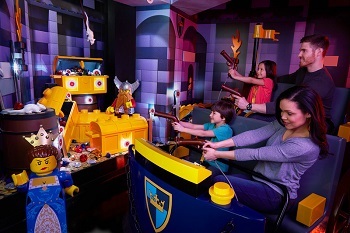 Save 50% on an already GREAT value at LEGOLAND® Discovery Center Columbus! Get two admission tickets for the price of one, a $48 dollar value for oly $24 dollars! 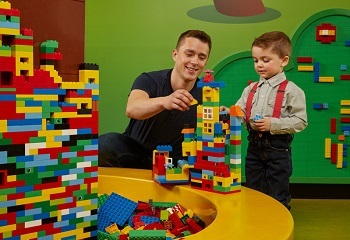 LEGOLAND Discovery Center Columbus is your family’s ultimate spring stay-cation! Create, build and play at this new 36,000 square foot attraction, conveniently located at Easton Town Center. 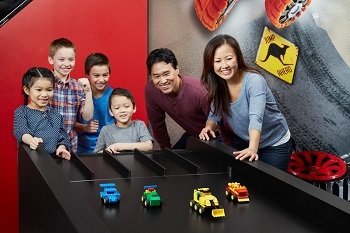 Families with children ages 3-10 can enjoy 2 rides, explore MINILAND Ohio –featuring over 1.5 million LEGO bricks! – and even learn to build from a master builder in the Creative Workshop! The ultimate indoor LEGO playground! Family fun with 2 rides, 10 LEGO build & play zones, a 4D cinema & much more! Some blackout dates may occur. Pre-booking is strongly advised and the only way to guarantee entry. Adults must be accompanied by at least one child (aged 17 and under) to visit the attraction. Tickets valid at Columbus OH location only.